For today’s deals roundup, we’ve put together a wide range of gadgets which includes speakers, power banks, headphones and more. All the deals in the list lie between Rs 1,000 to Rs 1,500 when you add the cashback offered on Paytm Mall. From in-ear headphones to portable speakers. Today you have a chance to grab something cool, even if you have a limited budget. 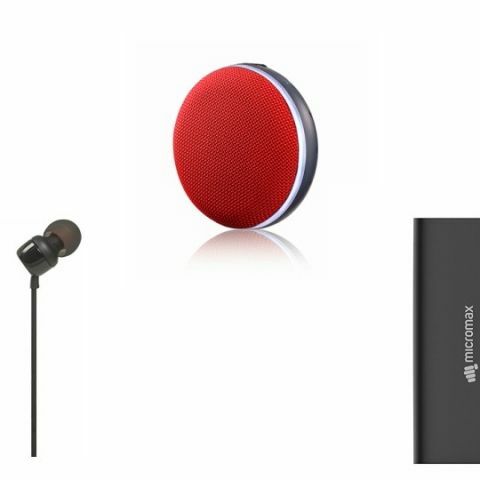 We've dug out some of the best deals of the day on from brands like JBL, LG, Phillips, and more. The iVoltaa Rugged X1 is a water and dust resistant Bluetooth speaker. It comes with a built-in mic that lets you answer calls via speaker. It has four buttons at the back for controlling volume, calls and music tracks. You can purchase the device here. The LG PH2R comes with an IPX4 rating, which means the speaker is certified to tolerate a few splashes of water. It offers 360 degrees sound and comes with a LED indicator that lets you know what mode your speaker is in while you are playing music. As per the company, it can provide six hours of audio playback on a single charge. Purchase this device here. The Philips BT64R is a compact speaker that lets you stream music via Bluetooth, USB and AUX cable. You can also insert a microSD card to listen to stored music. The device also offers built-in mic which gives you the option to answer calls via speaker. You can purchase this device here. The JBL T110 In-Ear Headphone comes with a tangle-free flat cable. It has an inline one-button remote that lets you manage calls and tracks without taking your phone out from your pocket. The box includes three-sizes of ear tips, small, medium and large. You can purchase this device here. Phillips claims that the SHE1455 In-Ear Earphones can block out external noise through passive noise cancellation. It also comes with an inline-remote that let users manage audio tracks and calls. The company is also providing six months warranty to the users which do not cover physical damage. Purchase this device here. The Sony MDR-EX150 comes in a wide range of colors, you can choose one that best fits your style. The device is equipped with 9mm neodymium drivers and has an impedance of 16 ohms. You can purchase the device here. The Powerocks P1005A Power Bank comes with two USB ports that can charge smartphones, speakers, headphones and more. The device also has a LED indicator that let users know the power level of the device. You can purchase this device here. The Micromax 10400mAh power bank comes with a LED indicator that informs user about the charge that's left. It has two USB ports that can charge up to 2 smartphones simultaneously. If you’re stressing over product safety then don’t worry as Micromax's power banks are BIS certified. You can purchase the device here.